When the requirements for a project are neither being maintained in Test Collab nor in the issue manager that is integrated with your Test Collab instance, then you can get them managed by opting to keep the "External Tool" as the source of requirements for your project. Type the "Link Pattern", the link pattern should be a valid URL that can be used to point to a particular requirement in the tool. Requirement's identifier would be represented by [[id]] because at the time of parsing this URL [[id]] will be replaced by the actual id that you provide to link with test case in your project. You can provide one or more requirements separated by comma for a test case. 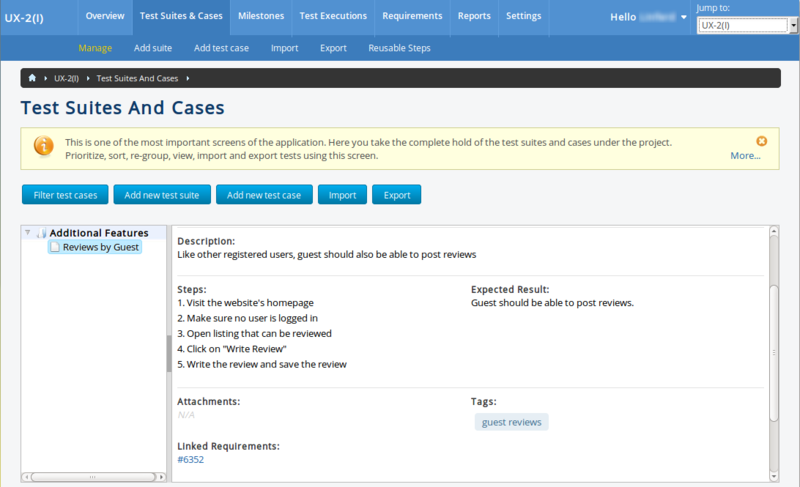 and any number of test cases under the project can have requirements linked to them.